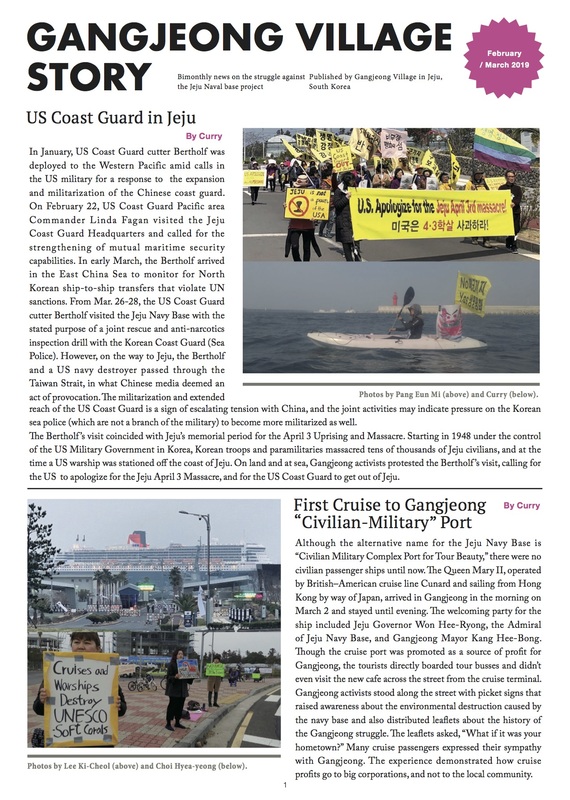 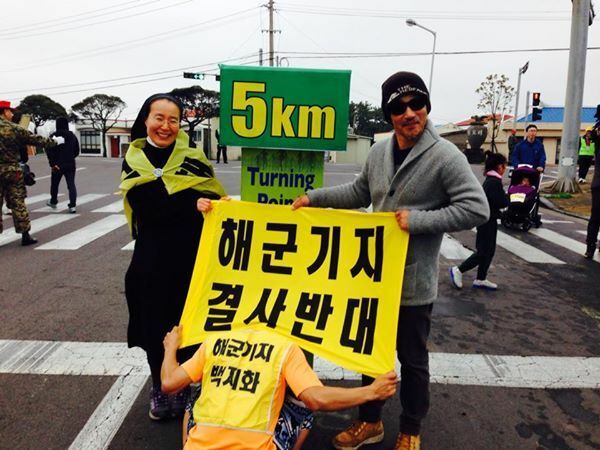 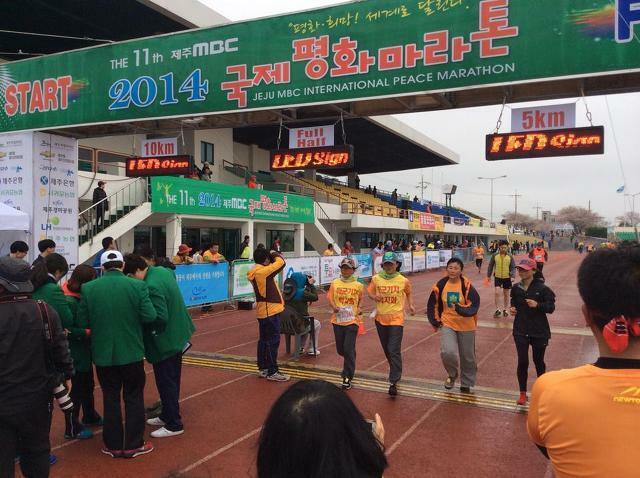 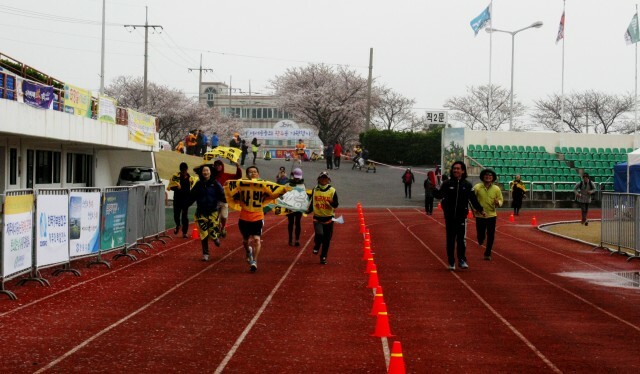 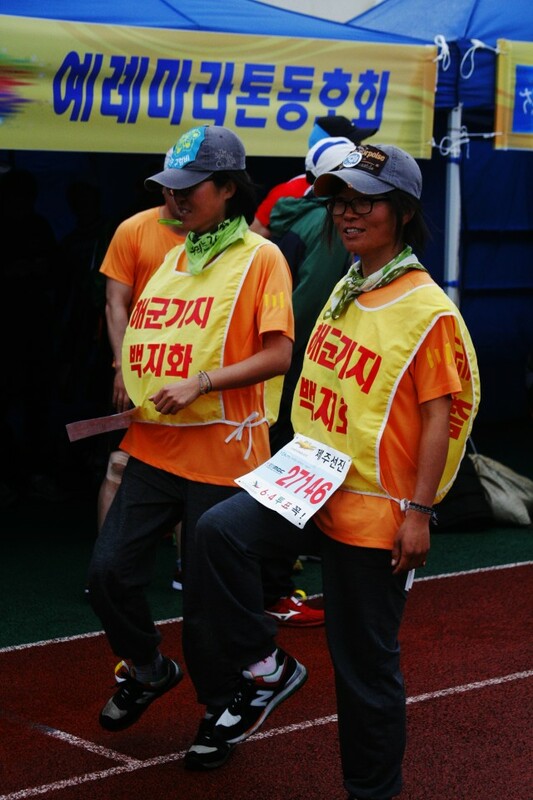 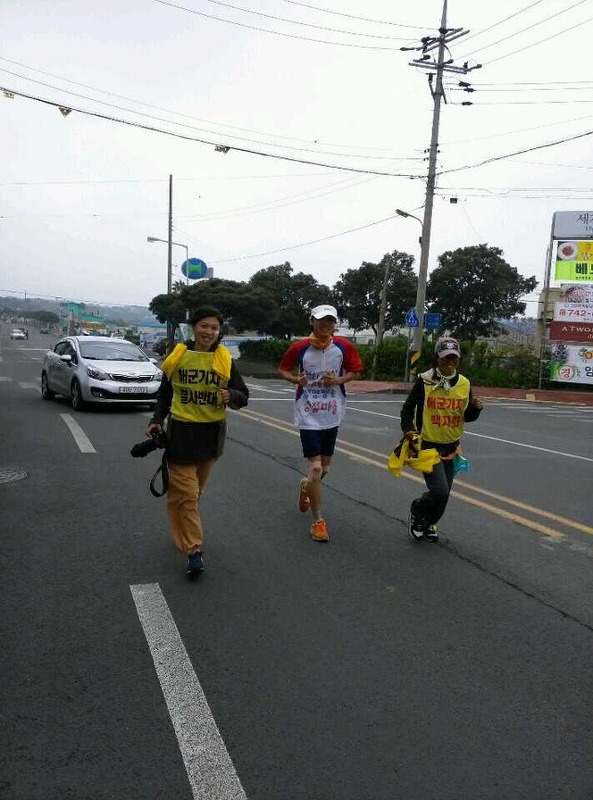 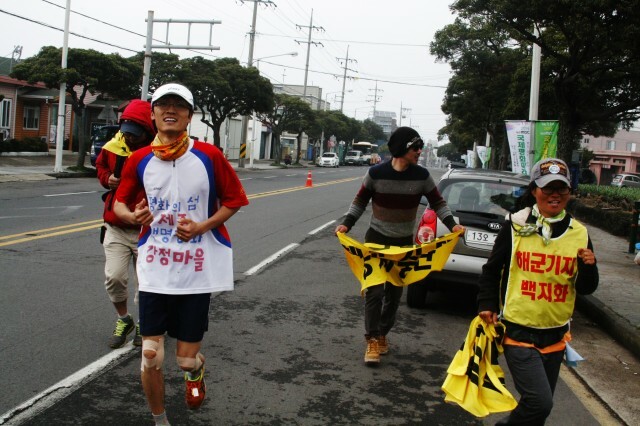 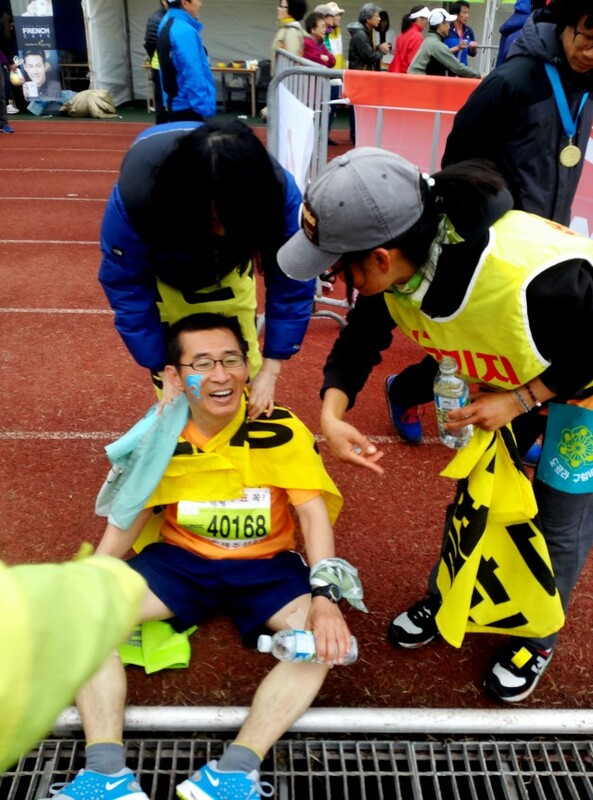 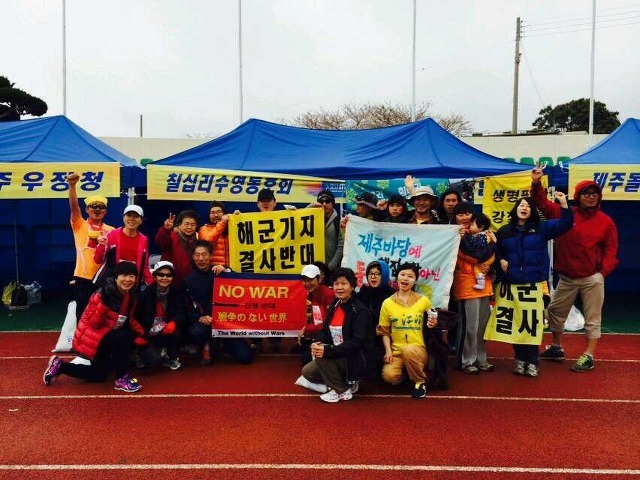 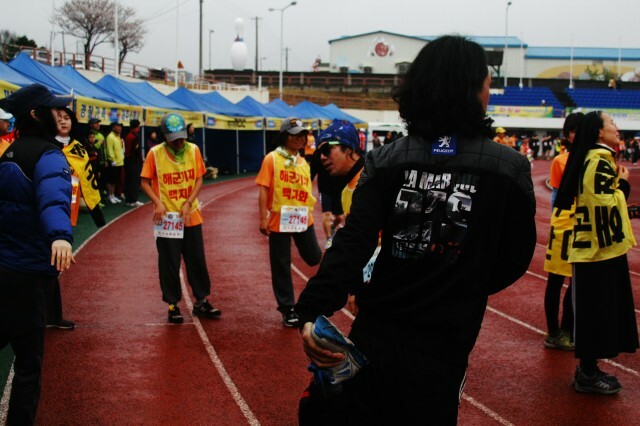 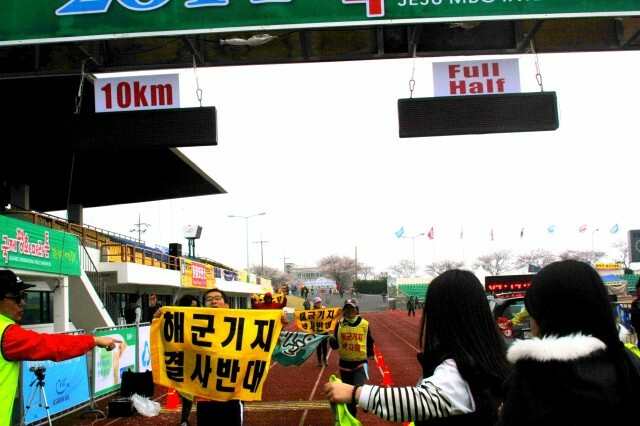 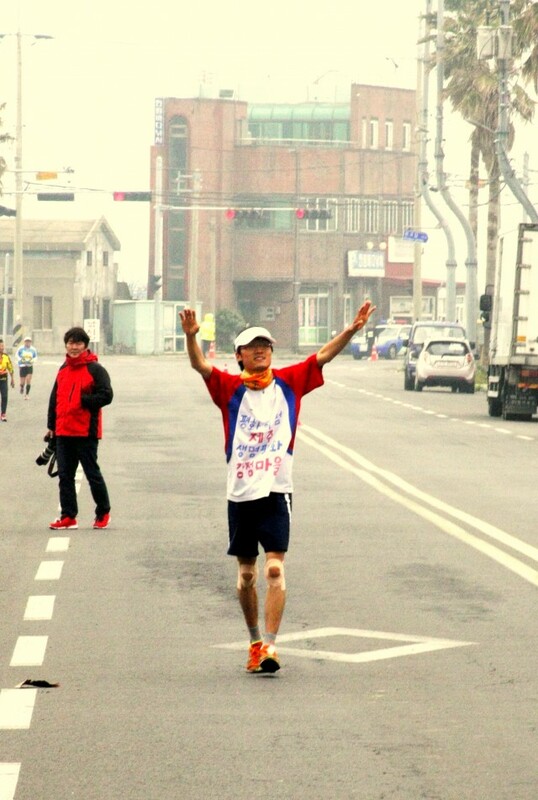 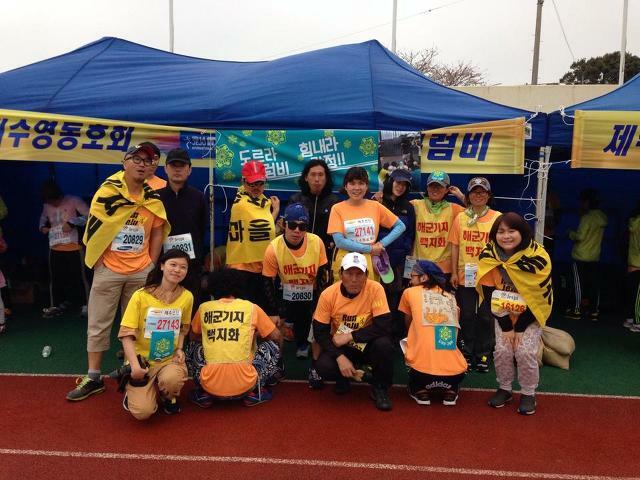 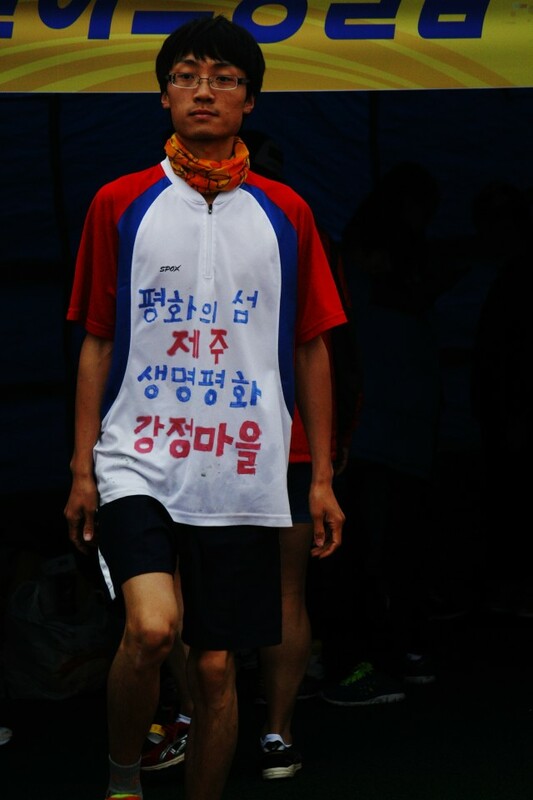 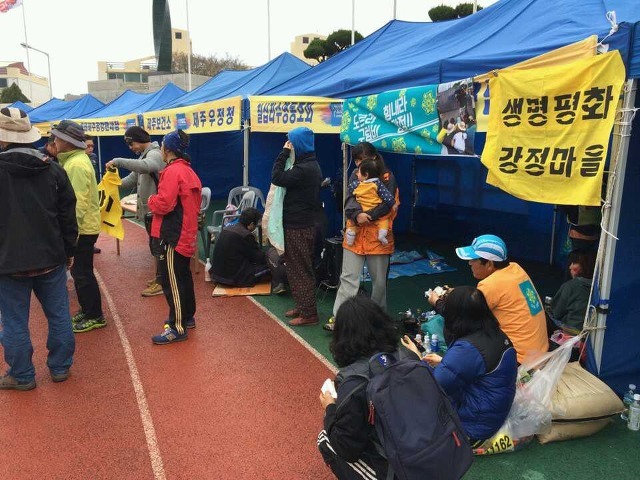 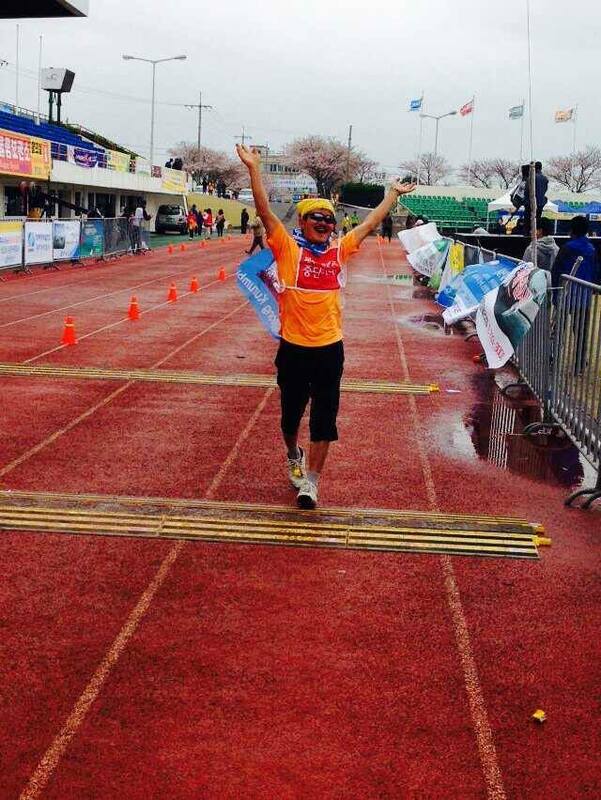 On March 30th, 2014, Gangjeong activists and one of the villagers joins to the Jeju international peace marathon. 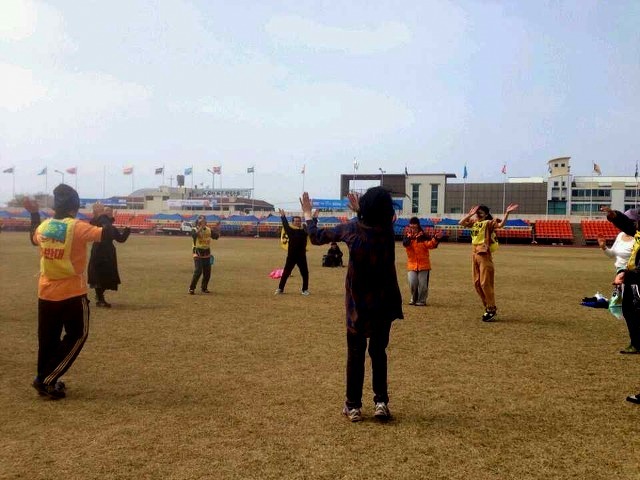 All of them wear the shirts or symbol of Gangjeong or peace, and in the end as the tradition, Gangjeong people dance the addicted Gangjeong dance altogether. 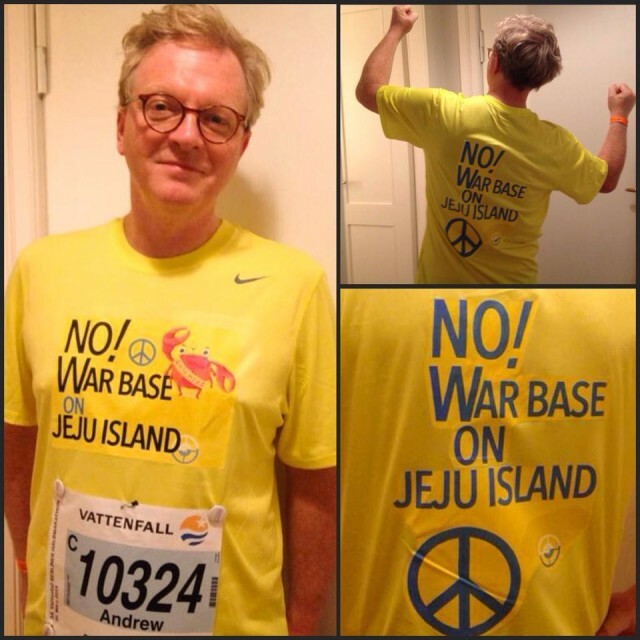 At the same time, in Berlin, one of the Gangjeong supporters also ran the half marathon with Gangjeong customized running shirt!